Thank you for visiting and I hope you return soon. 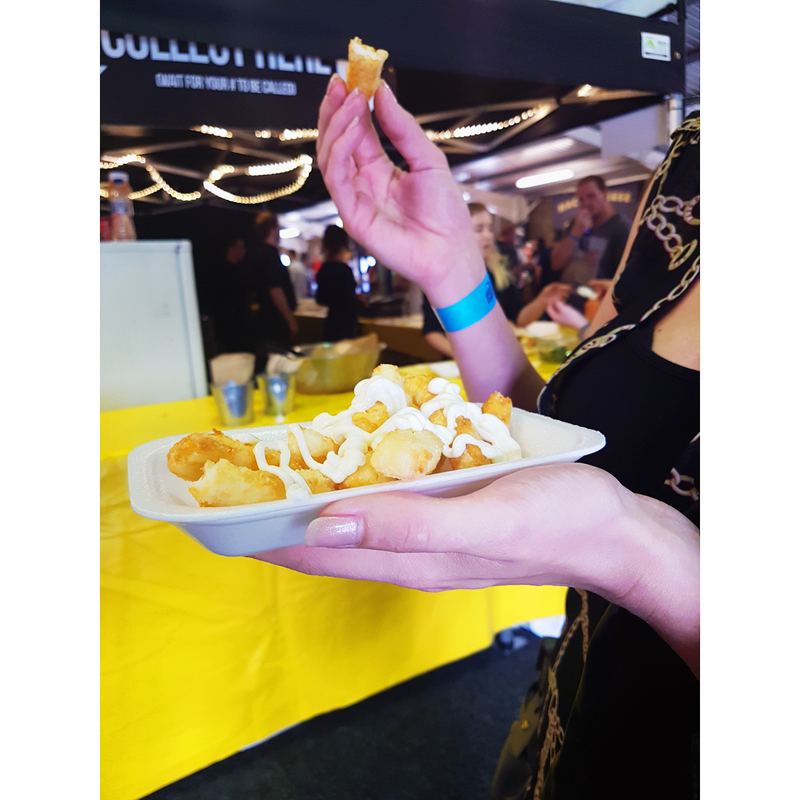 A couple of weeks ago myself and Grace headed off to CheeseFestUK the first held in Kent. The truth of the matter we used it as an excuse for an up coming sports event, still counts if they are a month apart right? The event was being held at the Kent Showground in Detling just outside Maidstone, so a quick half an hour from our home. And with a ticket price of £5 then we couldn’t say no. I have been to food festivals and convention type events in the past for various jobs but this new event, at least, this version of the touring show was the size was not as big as I expected, this was the downside of the event. I am not sure what I expected but something of a bigger event with more stalls, but there just wasn’t the space in the centre. It was full mostly with street food vendors some better than others and one bar that had the standard longest queue known to mankind if you want a beer or a wine. (no school boy sniggering please) it did redeem itself. It did this with one food vendor who made what has to be the best Mac & Cheese I have eaten in a long time. 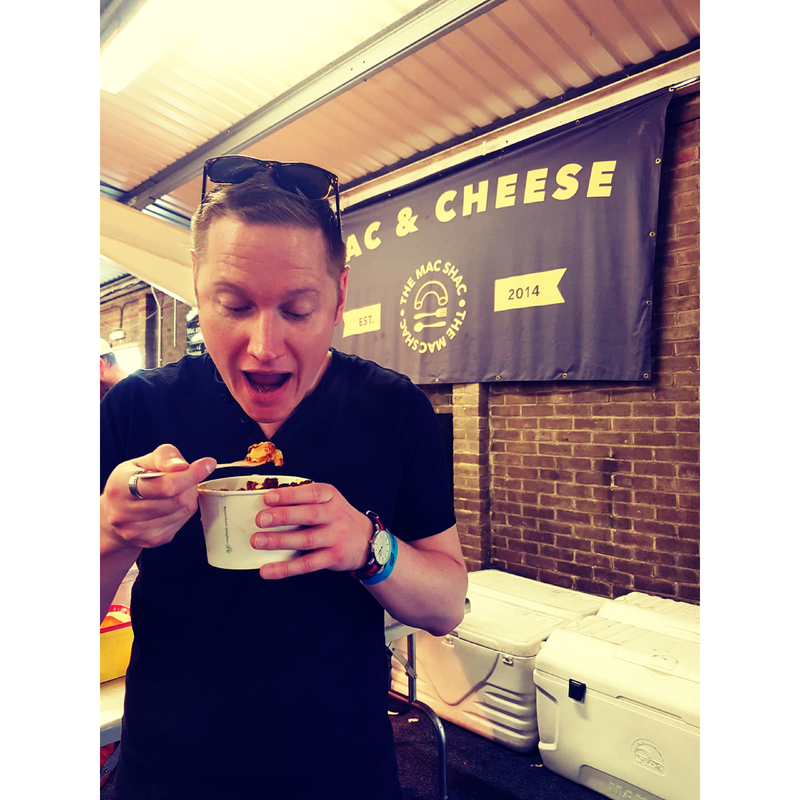 For some backstory when Grace booked us in for the Cheese Fest UK I had one thought, there had better be somewhere to get mac & cheese, not the most complex thought but it was there nonetheless. I wasn’t disappointed. 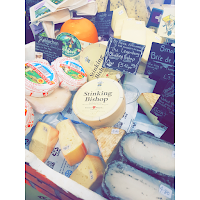 As we walked into the indoor centre we were hit with a overpowering smell of cheese, not just one cheese but hundreds of cheeses, along with a bag of cheese popcorn. Basically, if you have high cholesterol of a similar ailment this is not the place for you. You enter and are surrounded by a grilled cheese stall, halloumi fries, Raclette stall, mac and cheese and full wheels of cheese. We had a quick walk around the different stalls and as my eyes watered with the stench of some of the heady cheeses I spotted some corkers like this beast with a silly name. I think it was stinker too. Sadly there were some stalls that I could have got have the stock from a supermarket and hope they are cheaper when not at an event like this. There was a stage with a band on it, I guess there was supposed to be something else on the stage but just seem to be a covers band then a DJ. I had seen on the site there was demonstrations but we were there for a few hours with no mention of this, maybe I missed something or my brain was too stuffed with cheese. 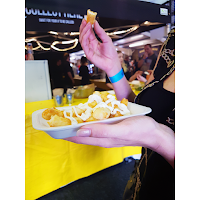 We started with Halloumi fries, the Greek squeaky cheese is certainly ready for being fried with a coating and where such a great salty snack. This was closely followed by Raclette, for Grace as I am not a fan, and mozzarella sticks for me. Then the big one was required. The amazing cheese wizards from The Mac Shac redeemed my day and shot me far away in Cheese happiness. 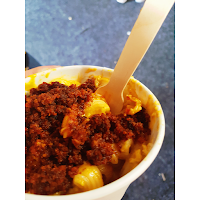 With a sauce made up of three cheeses in the Mac and one i don’t normally like mixed perfectly with a range of toppings. Now the Spanish Chorizo mixed into this amazing mac was the nicest thing I have ever eaten. You would want to live off it, even though it may kill you. I mean look at my face above, that is not posed, I was so happy. Eventually I dragged myself back into the car and headed home to digest this cheese fest feast. twcoombs.co.uk. Simple theme. Powered by Blogger.